Did you know… What’s the weather like? or How is the weather? Officially it’s still spring, but here in the north of Spain it seems the summer has arrived. So, while some people are already kind of brown and wearing colourful garments, I am still hidden under layers of dark clothes looking like a stuffed sausage and crazy busy 🙂 checking exams. Talking about the weather seems to be a favourite topic of conversation,but not only for British people. Every foreigner I’ve met, no matter the nationality, eventually talks about the weather. Do you talk about the weather? Isn’t it true that when talking to people you have just met to simply start a conversation and avoid the I-don’t-know-what-to-say embarrassing moment, we talk about the weather? 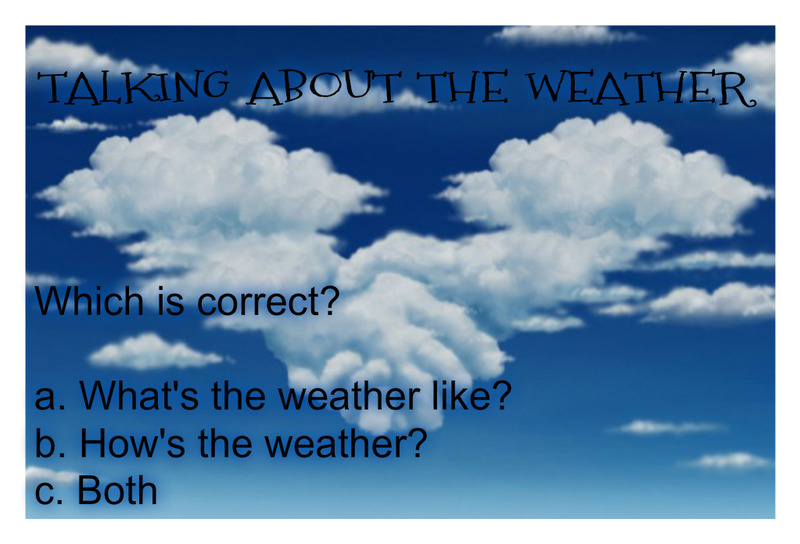 There is not much difference between these two questions when talking about the weather. Either of these is used in every day English. Some people might argue that “What’s the weather like in Spain?” asks for a more detailed description of the usual weather in Spain, whereas “How’s the weather in Spain?” would be more casual and would get “Good/Bad/Rainy” as an answer . The truth is that asking these two questions will almost always get you the same answer. Have you ever asked yourself how you revise for an exam or how you learned English irregular verbs? Read through the traits and identify the kind of learner you are and the kind of activities that will help you best in your learning process. 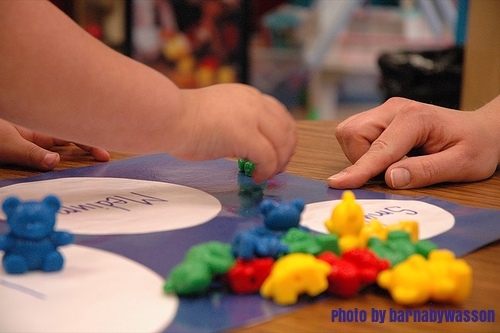 Every learner has one primary learning mode. Your learning mode or learning style is just the way you learn best. People learn using a variety of these modes depending on the task, but there is one that is normally predominant. Therefore, identifying it as soon as possible is important to help you learn better and faster. There are three main learning modes and there are traits for each type of learner. Which type of learner are you? Read through the traits and identify the kind of learner you are and the kind of activities that will help you best in your learning process. You like to learn things by hearing them or saying them. You like to read and write stories more than telling them or acting them out. You can also learn easily from infographics, posters, charts, maps, and photographs. As teachers, we need to bear in mind that in our classes there are different kinds of learners. Therefore, we need to incorporate different teaching strategies to reach every one of them. The more actively engaged a learner is with the content, the better she learns and the more she remembers. Schunk, D. H. & Zimmerman, B. J.. Self-Regulated Learning: From Teaching to Self-Reflective Practice . Guilford Press. Silberman, M. Active Learning: 101 Strategies to Teach Any Subject . Boston: Allyn & Bacon.